The D-TOUR WP is designed to meet expectations. 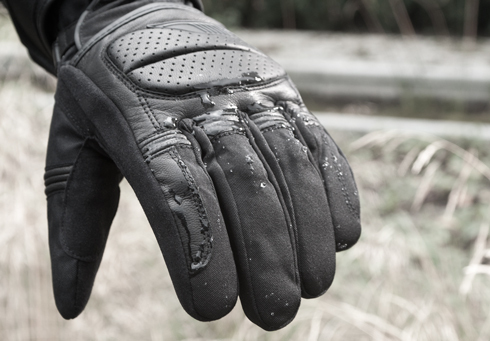 An evolution of the popular D-TOUR, the glove is equipped with a waterproof NextDry membrane, ensuring you're ready for any weather. Featuring NEXFIT technology, the D-TOUR is composed of a three-layer laminate including an inner, waterproof NextDry membrane. This ensures that the glove is far more comfortable than traditional, thick, non-laminate solutions, and that there is no feeling of a "floating" liner. 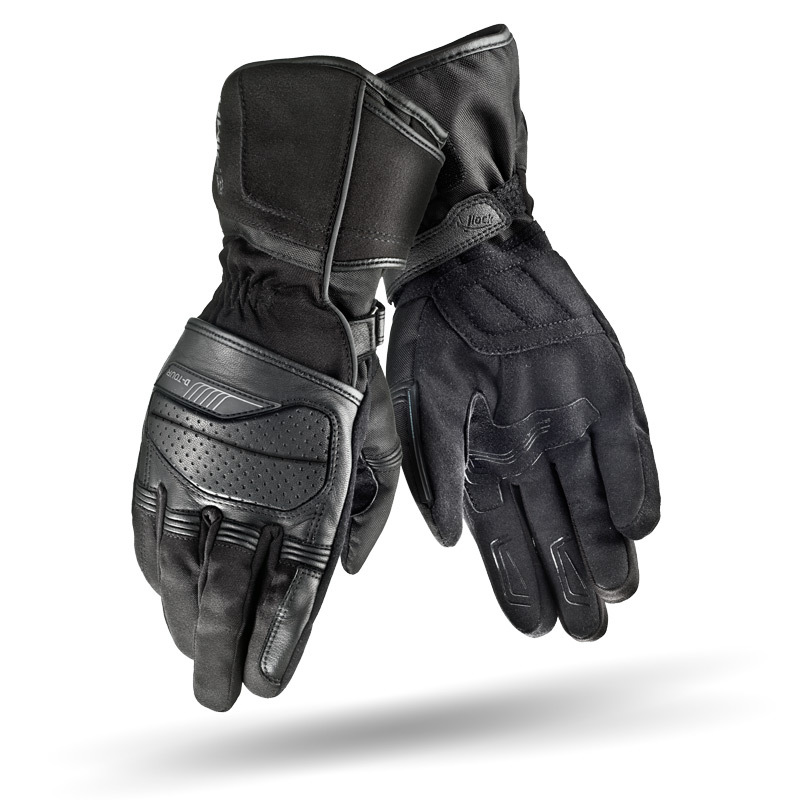 Featuring pre-curved fingers and elastic panels, the D-TOUR WP provides great comfort. 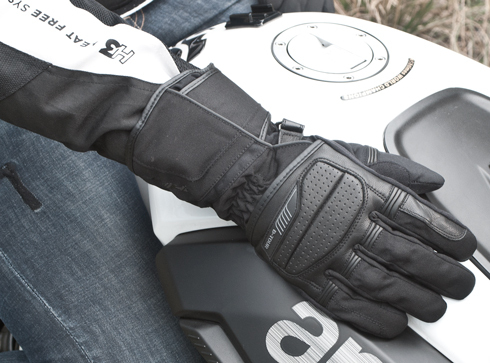 Additionally, the palm surface of the glove is lined with special inserts, designed to ensure a firm grip on the handlebars. Moving down the glove, the double fastener - a wrist-mounted V-LOCK strap below a large, comfortable velcro piece - gives you the peace of mind that the glove will stay in place no matter what happens. The D-TOUR WP is reinforced with special panels and features a full set of protectors. The knuckles are couched by a soft, comfortable absorber, while the fingers are equipped with hard, synthetic protectors. The D-TOUR WP are made with unique NextFit™ technology that allows the NextDry™ membrane to be laminated directly inside the glove for superior liner stability. Hidden under the outer layer lies a combination of soft impact absorbers and synthetic protectors. Equipped with a reflective panel, an additional set of reinforcing panels on palm, and a safe and ergonomic V-Lock™ wrist strap, the D-Tour can be worn over the jacket thanks to their elastic and spacious cuff. 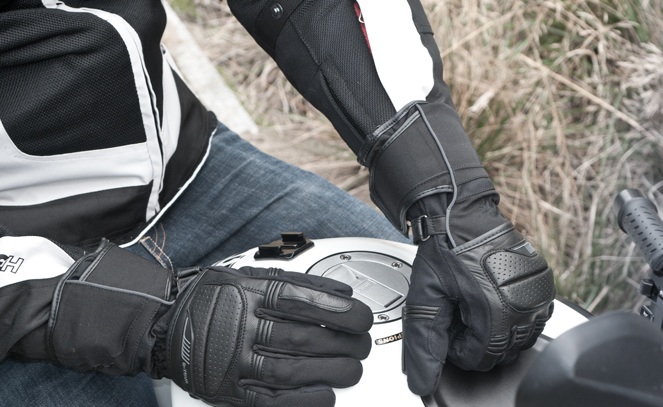 With soft main knuckle protected area we maximize your comfort while keeping the knuckles safe thanks shock absorbing materials used. Ergonomic and comfortable, the V-Lock wrist strap features is also designed to be safe. With its adjustment strap positioned at a 30-degree angle, and its buckle on the outer side of the glove, the V-Lock eliminates the need for endless tightening and ensures a good, firm fit, while ensuring your glove will never fall off thanks to its base-of-the-thumb strap placement. Featuring a microporous, breathable construction, the NextDry membrane is a waterproof and windproof solution developed by SHIMA in cooperation with a leading textile manufacturer. 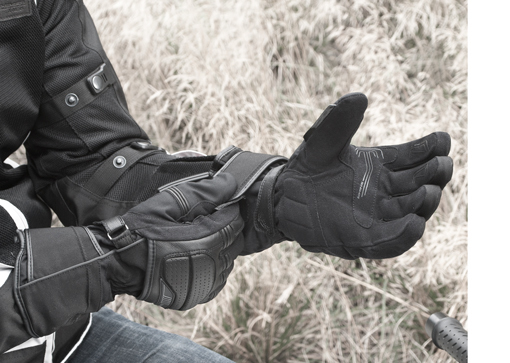 Specifically designed for motorcyclists, NextDry allows your skin to breathe while keeping it dry and comfortable, allowing you stay focused on the road.